Thank you for visiting this website. We hope you found the information here useful. If you have any questions about the True Vision scheme or any information on this website, please get in touch. You can email us at: enquiries@report-it.org.uk. You should not report hate crimes to this email address. All reports should be made using the online form available on the 'Reporting online' page of this website. Please select your force from the list below to visit that force’s website (opens in new window). Or visit www.police.uk for details of your local Neighbourhood Policing Team. On the police websites, you find details on how to contact your local police force. 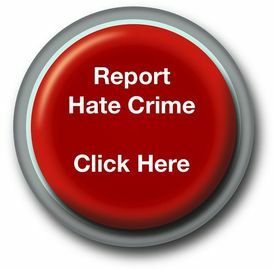 Many police force websites also contain local information about hate crime that you may find helpful. Scotland does not currently participate in this scheme. If you live in Scotland and want to find out more about how hate crime is being tackled in your area, please click here to visit the Scottish Government's website. Contact information for Scottish police forces can also be found on the Scottish Government’s website here.